Busy Bees at Ilford - People that help us! To learn more about people that help us, we have been having visits from some professionals. 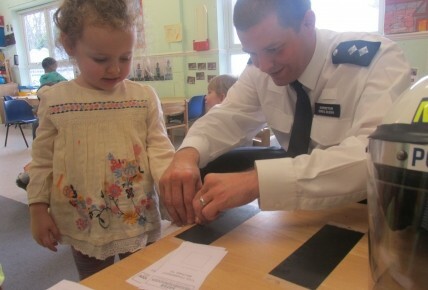 We recently had a police officer visit the children to talk about their job. PC Nixon came along and asked the children what they thought a police officer did? Viraaj said "to catch the bad guys and throw them in jail". The children were taught about being safe when out and about, what they should do if they loose their Mummy or Daddy, how Police officer help their local community and lots of more. 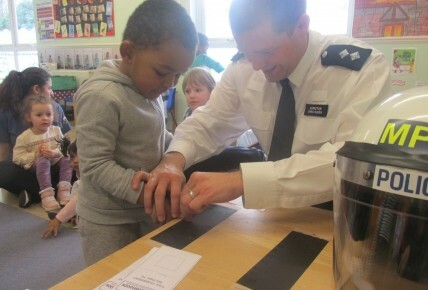 All the children were given the opportunity to try on police uniform, make fingerprints and test out handcuffs. 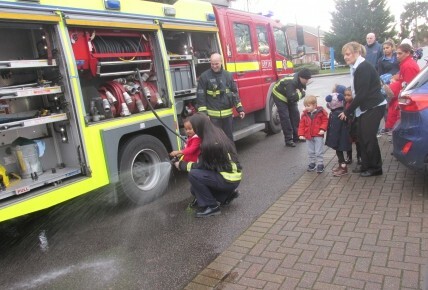 We also had a visit from our local firefighters, where the children got to sit in the fire engine and use the water hose. The firefighters then spoke to children about what a firefighter does, some of the children replied "save cats from trees", while some said "put out fires". 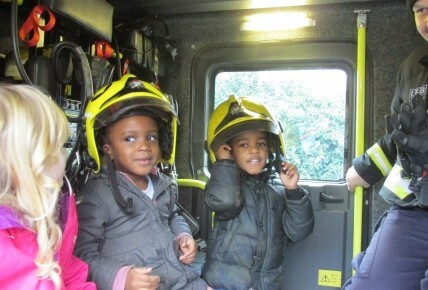 The firefighters then asked the children what they should do when they hear a fire engine? The firefighters told then they should always wave, because they will wave back. The children absolutely loved these visits and were very excited to go home and tell their Mummy's and Daddy's about their exciting day at nursery. Keep an eye on our upcoming events to see who is visiting next.